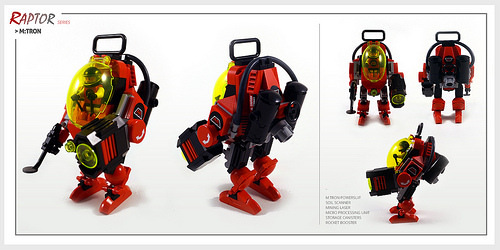 Dutch builder Pico van Grootveld has been building a series of “Raptor” powersuits over the past few weeks, but his latest is definitely my favorite. 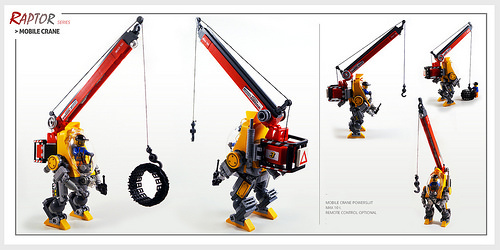 The mobile crane variant looks great in yellow with the red crane boom, complemented by warning labels and a whole bunch of gears and other exposed machinery. 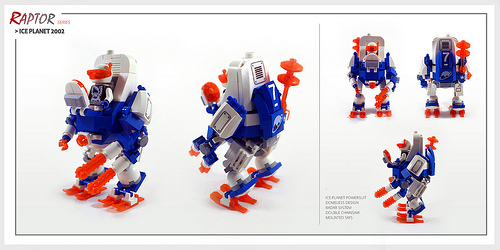 Many of Pico’s previous “Raptor” powersuits have been inspired by classic LEGO themes of days long past. 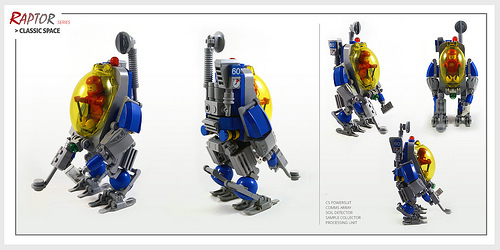 Check out Pico’s album on Flickr for even more powersuit goodness.